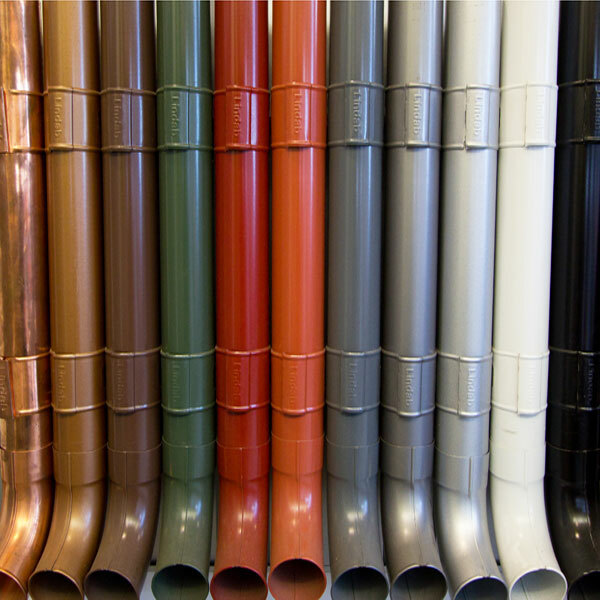 We supply the entire Lindab rainwater range in all 12 available colours. Mixing and matching these is easy. Either discreetly complement the overall colour scheme of the house, or give your home a unique colour twist. Click here to browse the full Lindab rainwater range. The system has hard-wearing properties that ensure years of performance with no rusting or leaking. The coating on both the high build polyester and aluzinc guttering systems are guaranteed for 15 years. They also have a life expectancy of well beyond 70 years. Lindab use the very best in lightweight galvanised steel to create a contemporary, cost effective and eco-friendly guttering system that won’t shrink, split or leak. Plus it looks great, too! If you need information or advice, call our friendly team of advisers on 01752 692 221. Alternatively, use the live chat function in the bottom right-hand corner of our website.